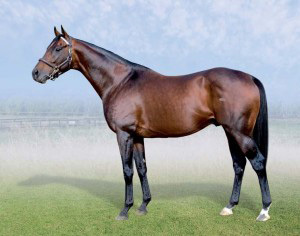 Badger’s Drift is the sire of Gr1 winner IVORY TRAIL who holds the course record over 1800m in the Gr1 Champions Cup at Clairwood, whilst FUTURA holds the course record over 1800m in the Gr1 Champions Cup at Greyville. Act of Supremeacy and Lord Badger, both by Badger’s Drift, both placed 3rd and 4th in the Grade 3 Champion Juvenile Cup over 1400m on 15 July 2011. Grade 2 Winner HOSPITALITY by Badger’s Drift, wins another feature by 3.25 lengths @ Kenilworth 09 July 2011. LIKE PARADISE, by BADGER’S DRIFT – now “BOLD BLACK” type. This makes Badger’s Drift the Sire of FIVE “Black Type” runners, thus far this 2012 season. Others include “Catchadrift” Gr3, “Lord Badger” Gr3 & “Act of Supremacy” Gr3. Lord Badger is the winner of the Eastern Cape Guineas Listed, and Badger Lake the winner of the Durbanville Cup Listed at Kenilworth. Just Bluffing, voted Champion Three Year Old Colt in Kenya 2012-2013, wins include the Gr1 Kenyan Derby over 2400m and second in the St. Ledger over 2800m. 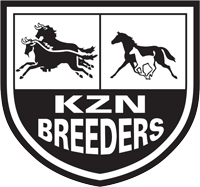 Badger’s Drift is a leading KZN sire, earning an impressive percentage of winners to runners of 40% during the season of 2012-2013 (01 August 2012 – 29 April 2013). Broodmare Sire of 2014/2015 Equus Horse Of The Year, Futura. Learn more about Badger’s Drift in his stallion feature.